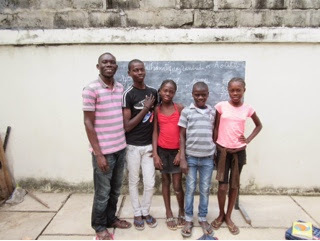 These abandoned children are finally learning to read and write. 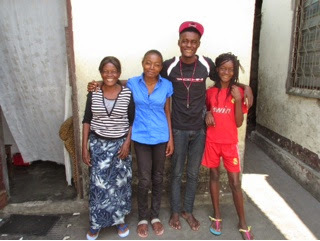 From left to right: Mr. Makita (their tutor), Jarell (19), Eugenie (15), Matondo (14) and Valdi (14). Maman Emilie had to start a business of her own, in order to take care of her children because she had no source of income when her husband passed away. Now Fanny, Nixon and Patricia are back in school and doing well. 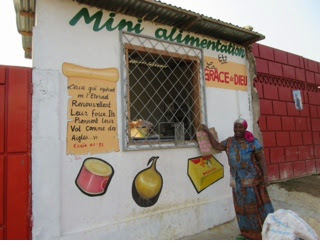 Maman Pauline and her elderly mother are now able to meet their own needs through their mini store which is in the yard of their home. Just to mention a few changed families!